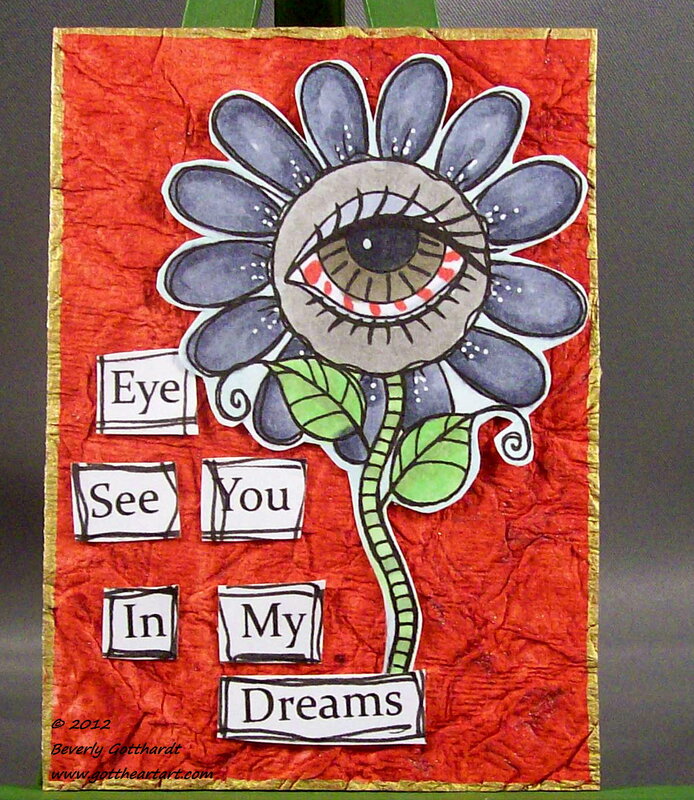 I chose this Big Eye Flower digi from Dilly Beans to capture this Flowers With A Dark Twist challenge. This is the time of year for horror movies, and all things creepy, scary. I tend to have very vivid dreams, usually not scary, but I thought what a cool twisted dream this would be. Being chased by big flowers with eyes. Pretty creepy, huh? You've still got plenty of time to join in on the Twisted fun at Wicked Wednesday so click over and see what the team has on tap for inspiration. This reminds me of Little Shop of Horrors...but in a cute way! 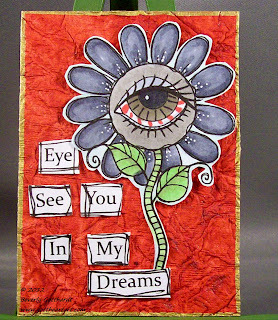 Another wonderfully creative ATC Beverly, so glad you were able to play along with us at Wicked Wednesday this week. Bev I'm a bit late visiting you from Wicked Wednesday but this is just amazing!!! Love the image and great wording! !